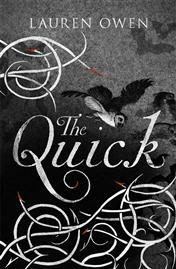 The Quick is Lauren Owen’s first novel, a gothic tale about brother and sister James and Charlotte who grow up in a huge old house in Yorkshire. Owen is driven by this family dynamic, and I agree with her that all families are fascinating: who can know what really goes on in a family except the people involved? How well does your brother really know you, or you him? What is he not telling you, what is he hiding from you? When James stops communicating, Charlotte sets off for London to find him. It’s the same in my novel Ignoring Gravity. It never occurred to Rose that there were secrets in her family, that her parents would not tell her the truth. Click here to read more about Rose. Sounds intriguing – I’ll look forward to reading your review before I decide whether to add it to my ‘to read’ list! I thought both your review , and the novel you write about are very interesting, and the subject is fascinating. Like you, and him to an extent, I am a ‘just become a novelist’ as my book was published this last Saturday. It’s certainly a nerve-wracking time, and I wish you both every success. This novel sounds very interesting. I look forward to reading your review.